A row is developing in the financial planning sector with so-called robo-advisers claiming that regulatory measures proposed by the Financial Planning Association would make the provision of digital advice unworkable. 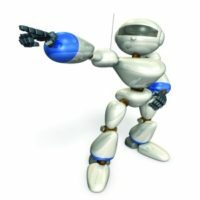 In a submission to the Australian Securities and Investments Commission, which is in the midst of consulting industry on how digital advice should be regulated, the FPA proposed that robo-advisers be required to appoint independent actuaries to monitor the algorithms used in the provision of automated advice. “If ASIC is after visibility of these results, an obligation to provide independent review results should be included in the regulatory guidance,” the FPA said in the submission.Robo-advisers argued that a need for oversight from third party actuaries would damage the sector, thwart innovation and harm consumers by raising prices and reducing competition. “If you need to get algorithms verified each time you make a change, this will reduce innovation and make digital advice providers reluctant to introduce changes. It will make the provision of digital advice unworkable and will push up prices,” said Greg Einfeld, co-founder of Plenty, a holistic digital advice platform that is set to launch in the next two months. Last week FinTech Australia, which represents about 70 start-ups, venture capital funds, hubs and accelerators, made a supplementary submission to ASIC on the regulation of digital product financial advice. In the submission FinTech Australia argued that traditional, or human, advisers used software programs to determine model portfolios and prepare advice, without a requirement for the process or algorithm to be independently verified. “So why should the rules be any different for digital advisers? The only difference [between a digital and human adviser] is that when a computer follows these rules, the result is always applied consistently. In contrast, when a human applies the same rules, inadvertent errors can be introduced. If anyone should be verified independently, it is the human adviser who is more prone to errors,” the FinTech Australia submission said.